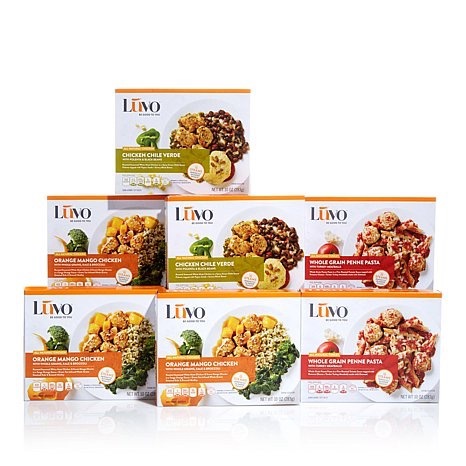 Revealing my thoughts on Luvo meals! Turkey Vegetable Lasanga – A very good choice for a meal. Really enjoyed this one as it contained some great vegetables and some solid taste. The meal also has some spice to it like most of the Luvo meals. I did not add any chia to this one but I imagine if you want more firepower, energy wise, you could do so. Solid overall meal! Chicken Chile Verde: This was a pretty good meal. Felt more “full” after finishing it. Like the Tandoori above, it did not taste like a microwaved food giving me the impression it was cooked in a different way. Protien To fat was closer to 2-1 but it still had 25g of the former! Also fiber was higher at 6g. Overall, a good option to consider. Orange Mango Chicken: This was another good meal for a “microwaveable dish.” Not as much protien but the ratio of protien to fat is nearly 3-1. Overall calories inline with the other two and the spice level, listed as mild, is “felt” on the tongue! Meal size was the same as the others and overall, it was a pretty good meal. That “full feeling” that I got from the last meal, seems to be evident here as well. Quinoa and Vegetable Enchiladas This meal has a 13/8 protein to fat ratio which does not make it that appealing on the surface to me. However, it has a huge fiber of 10 grams in the serving which helps me. It is also gluten free and a vegetarian option (for those looking for such) but it has a longer cook time than many of the meals I have tried. Another “negative” which really isn’t compared to most meals, is they it has the highest of the calories amounts for a Luvo meal at 370. It does have a kick though and a good taste. Turkey Meatloaf and Mashed Potatoes This meal is the king in regards to the proteins to fat ratio of 23/6. It also carries 6g of fiber, lots of veges and some fruit (cranberries). However, I am not a fan at all of meatloaf and that was before tasting this meal. 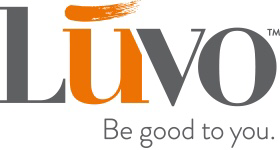 This one did pursuade me to possible try it again but overall, it is probably the last option of the Luvo meals I will explore in the future. Also, there is not much spice. So overall, I continue to rate these meals highly. Having received them as part of being a Bibrave Pro is a benefit but even if I were not such, I probably would find myself seeking these out for lunch. As I have said before, they are a much better and more healthy option when compared to many of the fast food lunch items we put in our stomach! Check these items out…you won’t regret the choice! Previous Post 5 for Friday: The Great Debate!